From supervision to reporting to managing risk, iaptus is designed to make clinical oversight and service management straight-forward and efficient. Take a look at the information below and get in touch to find out more. Maintain awareness of high risk patients as you manage the rest of your caseload. iaptus allows you to rate patients according to a risk scoring system and keeps those high risk individuals flagged in your navigation bar, offering you peace of mind throughout the working day. Built as standard within iaptus is the most comprehensive and flexible reporting system in its class. We believe that a client management system should do more than just collect your data – it should allow you to analyse and report on your data, and to answer important questions about your organisation. With iaptus, the required dataset can be captured and submitted quickly for government reporting. Trapped within the data you collect each day is an extraordinary amount of information that could help your organisation run both more efficiently and more effectively. Many of our clients face significant challenges, with excessive demand leading to long waiting times, high missed appointment rates and variable outcomes. But it’s not always clear what is going wrong or why, or whether problems are specific to one organisation or shared by others. Leveraging the information within your data will allow you to learn from the past, identify trends and patterns in patient care and predict pathways. It will shine a light on the ways that you can adjust your processes to deliver better quality care and achieve improvements in time and financial costs. 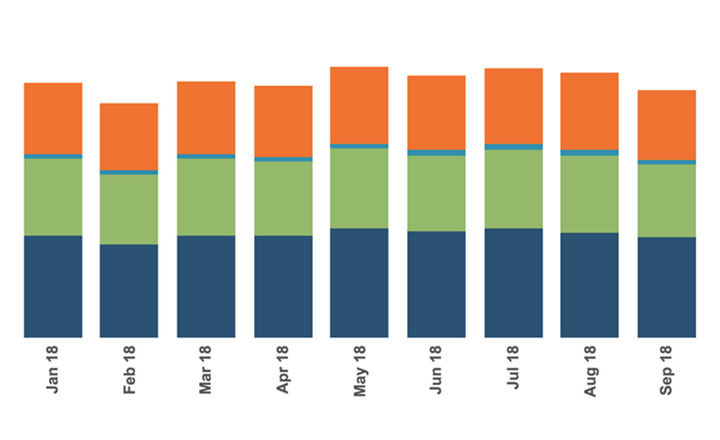 Our analytics service unlocks the information buried within your datasets, revealing valuable insights, patterns and anomalies that would otherwise simply be hidden. Working with our team of experts will ensure that you don’t just see, but truly understand your data. You’ll receive clear, stunningly crafted, presentation-quality graphics and custom dashboards that let you look at your data from every angle, so you don’t miss a thing. 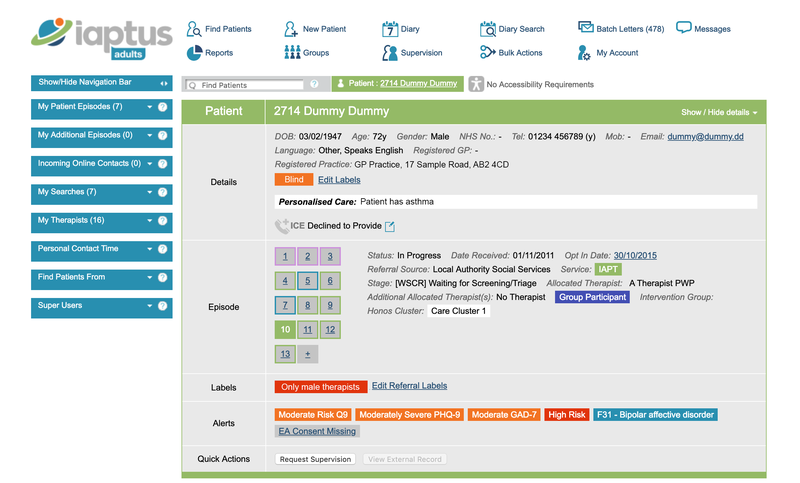 iaptus helps teams by offering a quick and easy way for supervisors to oversee and review clinicians’ work. 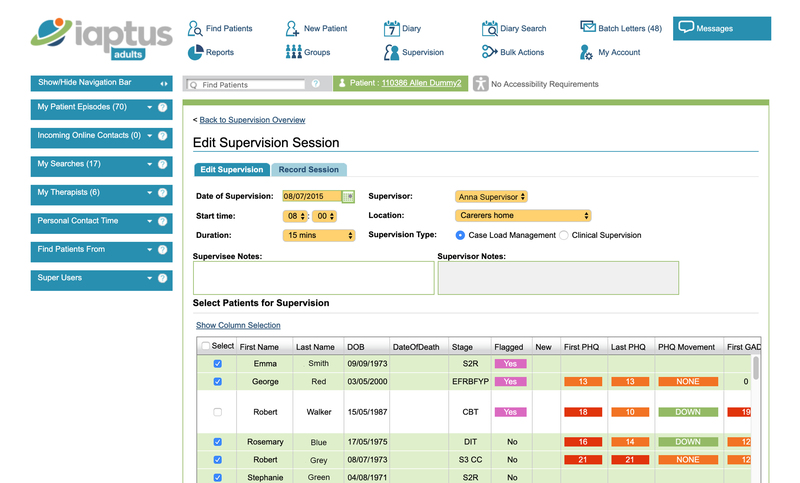 From their iaptus homepage, supervisors can see at a glance an overview of each of their clinicians’ case loads as well as the date of their next supervisory session. Supervisors can work through their therapists’ case loads from one screen, including viewing the risk rating for each patient, the reason for referral and graphics showing progress across attended sessions. 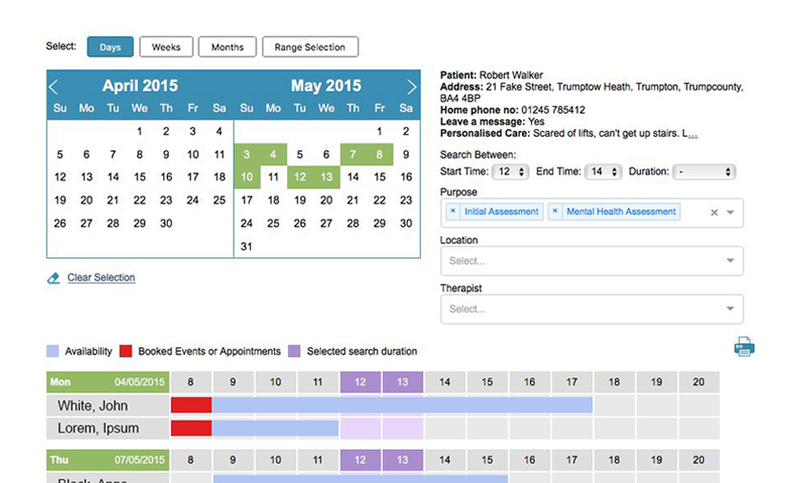 Users can quickly and easily find and book single or recurring events and appointments. Automated appointment confirmations and reminders can be generated and sent via text message. In iaptus, each user can be assigned to a group, determining which options, functions, and parts of the system they can view and access. 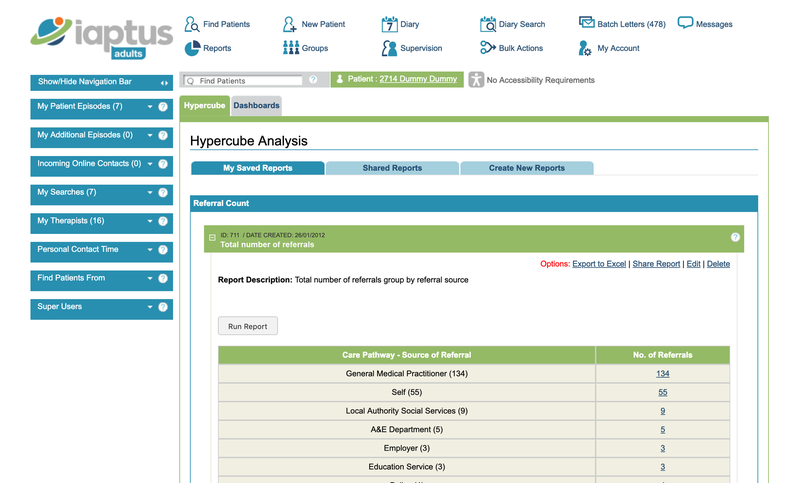 View a patient’s entire case record – across multiple referrals – in one place. Sometimes you want to access the raw data you collect, and to combine it with information from other local systems. That’s why we offer a secure and simple, complete export of your data from iaptus’ underlying database. This secure connection allows you to automatically and safely extract your data on a monthly, weekly or even daily basis into your own data warehouse. iaptus® and Mayden® are registered trademarks of Mayden. to find out more about how iaptus could support your organisation. We’re always happy to talk about what we do and why we do it. Charities and VCSE sector need to be involved in line with the activities of the #MentalHealthNetworks in a benneficial and natural way with bi-directional benefits for third sector and mental health networks to ensure better mental health for all. Pls Rt: YP INTERESTED IN #MENTALHEALTH - Join us!!! Copyright © 2019 Mayden® All rights reserved.